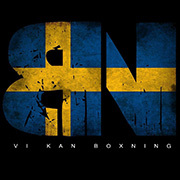 THE KING OF THE RING is open for all male boxers, all categories. Our Jury had a difficult time choosing three candidates for the title. After the first day they managed to sort it down to two fighters, Glodi Eneste from Norway and Bager Muhammed from Sweden. They both won their fights and the jury split into two. 2 members of the jury voted for Bager Muhammed and three for Glodi Eneste. Therefore the first King of the Ring was Glodi Eneste! This year The Champion is coming back to defend his title and we are looking forward to seeing if he will succeed. Or will it be a new king of the ring? The King of the Ring was founded by Ray Husac and Mona Husac, 2012.